This is from my early years of furniture design. 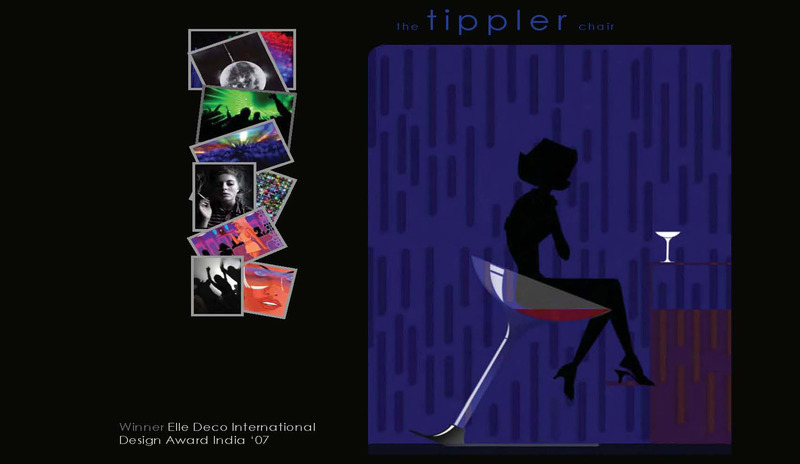 The design for a bar stool, inspired from a tilted wine glass got featured in Elle Deco and bagged the student category design award in 2007. EDIDA which stands for Elle Deco’ International Design Awards, brought in the opportnity to attend a summer course in Interior Design at Instituto Marangoni, London. The chair design concept proposes Polycarbonate stem and seat, which is slotted into a stainless steel base. The seat is made of jelly plastic and represents wine that is about to spill. The round shape of the seat takes care of the arm and back rest which were derived from Indian anthropometric data. 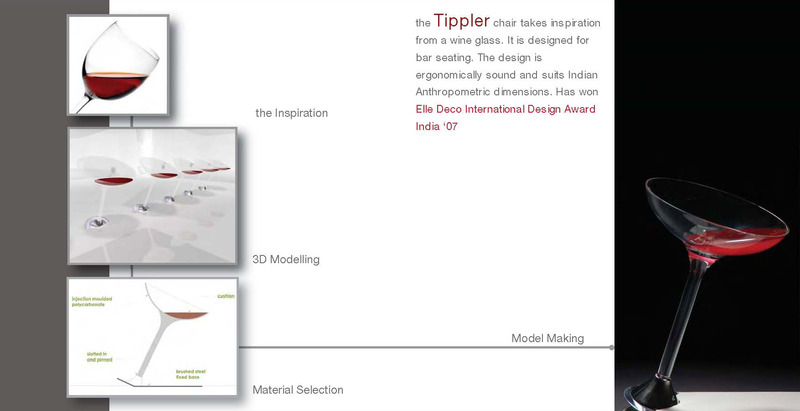 The wine chair and tippler chair are so co-incidentally similar!! Congratulations for the award though! I really like the concept, and your other work is also stunning!